I'd have gladly downloaded a 1GB patch. I think it was just laziness on Biowares part. I despise what the gaming industry has become - a bunch of developers slaved to two or three huge publishing companies that just crank out mediocre console games - and I am hopeful for what it is becoming - an industry increasingly populated by independent software developers who do not adhere to the wishes of the publishing companies. These independent software developers, like Vladimir Romanyuk for example , are the one thing that gives me hope for the future of gaming, specifically PC gaming. Edit: There seems to be a sudden surge of Space Sims on Kickstarter. I'm quite pleased by this. Seems we went from Sci Fi shooters in the 90s, to World War 2 shooters, then back to better 3D Sci Fi shooters, then Modern Warfare, Zombies, and now games are moving towards space. I can't wait till the Space genre is over done.... Then again you can never have too many space games and hardware is getting good enough to simulated entire galaxies, stars, planets, weather, and physics so I am excited. I had this great idea of a ultra-realistic flight simulator. It would require Oculus Rift, a replica of a planes cockpit, and a kinect. You'd sit inside the cockpit and put the Rift on, when you'd see the exact digital replica of the cockpit you're sitting on. Then Kinect would track the motion of your hands and fingers, so you'd see your own hands inside the simulation. The actual controls would be in the physical cockpit, but you'd see your hands moving on the same control surfaces in-game. The immersion would be incredible, since you'd actually feel everything you touch. Someone needs to make this. I had this great idea of a ultra-realistic flight simulator. Real Physics, but fun to fly! You wanted proper Newtonian mechanics. You got it! Spaceships adjust their trajectory and orientation just like the real thing. Like a modern day F-35, the ships have fly by wire systems which take the player's inputs and then translate them into the commands for the ship's engine and thrusters to articulate and deliver the required thrust to achieve the pilot's request. affecting maneuverability on the fly - allowing for endless combat strategies and results. Because we are fully simulating the physics and flight dynamics, the actual components matter. If a port thruster is damaged, it will affect your maneuverability organically. If you upgrade your thruster package with enhanced thrusters that gimbal faster and deliver more thrust it will affect your performance. Dump cargo, you may be able to get the edge in turning in a dogfight. I saw the developer saying about the game. It is amazing! I pledged on the 1st day, and already reserved a copy. I am following the developer diaries on this one too. 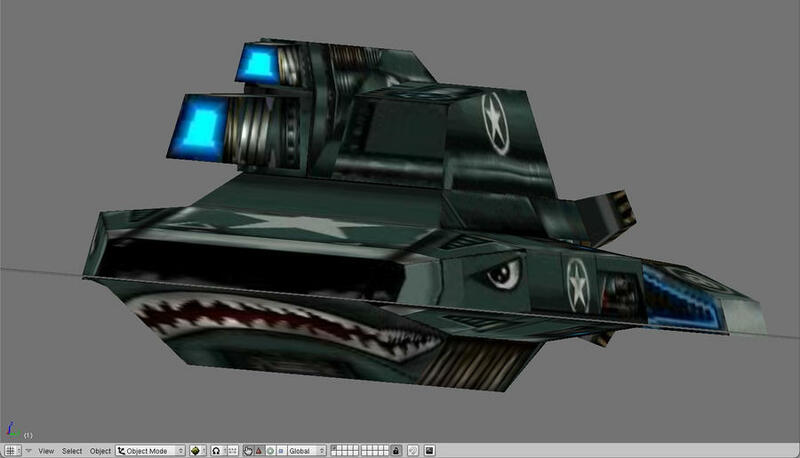 On the subject of space combat sims: if any of you are Freespace players (or even if you're not), you should check out the Diaspora: Shattered Armistice BSG mod that was finally released a month ago after four years of development. It's amazing, it completely overhauls the FS2 experience, the assets look spectacular, and it actually has real physics (or very nearly) which Freespace of course did not have. I don't think you actually need to have Freespace 2 in order to play it, so everyone go download it and have fun! I can't wait till the Space genre is over done.... cry Then again you can never have too many space games and hardware is getting good enough to simulated entire galaxies, stars, planets, weather, and physics so I am excited. I saw this before as well. It looks like it might be really fun and a great way to waste a few hours. There is a video game thread. Please use it. This has been discussed there. I'm not interested in that game, but the art style looks like it may have been inspired by LEGOS, and it is pretty good graphics. Marcus, as Antza2 said, this should have been posted in this thread. It looks more inspired by other RTS games that those same devs made in the past. So, I've pre-ordered Need For Speed: Most Wanted... for the PS Vita. It's practically the exact same game as the console version (there are some minor reductions in detail/traffic, and a 4 player multiplayer limit). I'm just happy that the Vita is seeing some more good games now. Maybe, if I live long enough, I'll get to try out Gran Turismo for the Vita. I may need some assistance; I'll probably be hooked up to some kind of futuristic life-support machine. ...Okay, I'm exaggerating. Replace G.T. with HL3, and it will make more sense. 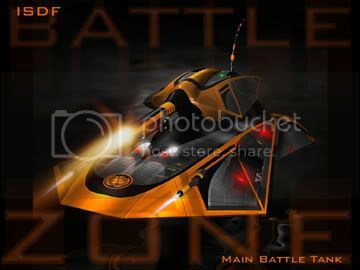 Battlezone, not the absolute first by Atari, but the franchise sequel by Activision. It was a unique and brilliant sci fi FPS/RTS hybrid where your personal death on the battlefield would be the end of the mission. It took place across the solar system, between the US and the Soviets (and an add-on pack introduced China) around the 60s I think, while the space race was a cover story. I think it still has a pretty healthy fanbase, with one of the old developers helping to patch it for better compatibility on newer computers. I preferred the old angular look. Maybe, if I live long enough, I'll get to try out Gran Turismo for the Vita.